As an increasing number of companies create their private talent networks to remain close to their active and passive candidates and offer them the best possible brand experience, semantic job matching is a phenomenal plus for both candidates and employers. 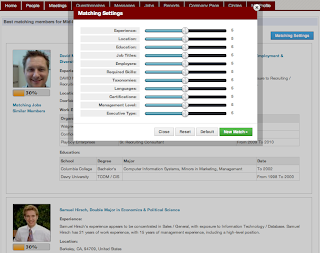 Define matching settings along several criteria (Experience, Location, Education, Job Titles, Skills, Groupings, Languages, Certifications, Management and Executive Levels). 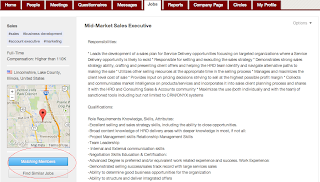 For candidates, semantic job matching is equally valued. 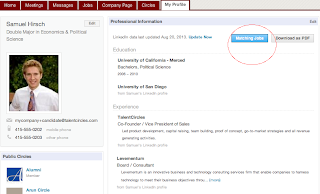 Because candidates are live entities in your talent network (and not just names in a database), they can look up opportunities that best correspond to their profile. 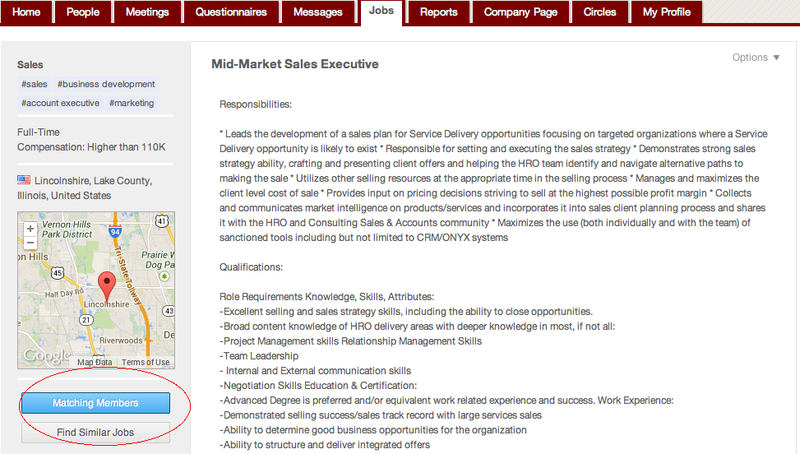 Just as recruiters, they can fine-tune their search along multiple criteria. As a result also, they can better evaluate for themselves why they might not be selected for positions they initially thought would be a good fit for them. Talent Acquisition in the social media era is all about ensuring the best candidate experience possible. By empowering your candidates to analyze job opportunities, you give them the personalized and transparent experience that they expect. 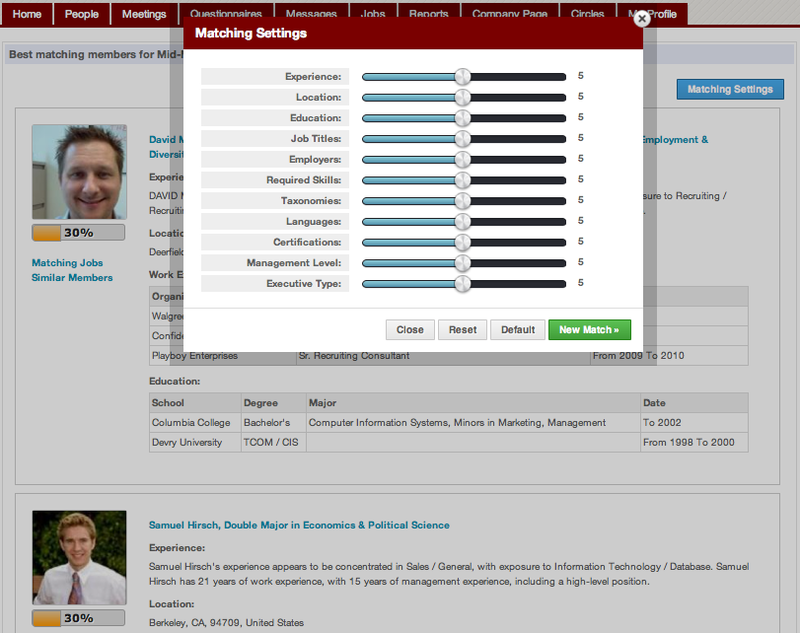 Of course, job matching drastically improves the recruiter experience. When you have the right match in your live Rolodex, you do not need to broadcast all your job openings and hope for the best for weeks only to find out that none of the respondents have the aptitudes and attitude you want! 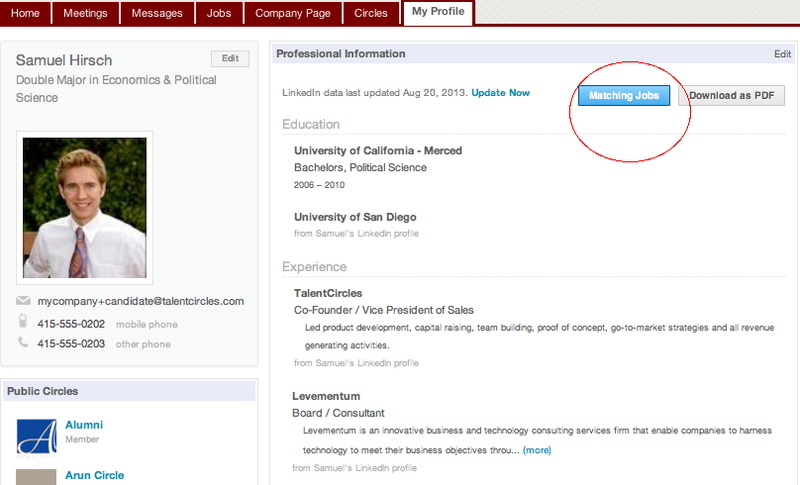 Job Matching is a powerful complement to the multiple other features of TalentCircles that power continuous engagement between your company and your passive candidates, including automated email notifications, pre-recorded interviews and skill assessment questionnaires, live video interviews, chat conversations, blogs, or webinars. Actuarial work inside insurance plan sector include things like quite a few martial arts styles along with significant associated with insurance plan which include: pension check, life, residence, injury, culpability, health and general insurance plan. We have just one problem and that is how to write a resume objective when you have so many options to write. The best thing you can do is that let the better evaluate for themselves why they might not be selected for positions they initially thought would be a good fit for them.